It’s not surprising that Downtown San Diego event venues are in high demand. Considering how the Southern California city is conveniently located walking distance to the waters of the Pacific, Downtown San Diego has effortlessly exceeded all venue expectations for each and every occasion. Between the panoramic views of the San Diego skyline, unparalleled dining experience, beautiful year-round weather, Downtown San Diego venues go above and beyond to create the most special events. What’s not to love? The city is bustling all year long due to mild, sunny weather. There are beautiful beaches to relax on that are only a stone’s throw away and tons of museums and interesting outdoor sights to see. Not to mention, the number of award-winning fine dining restaurants located in the Historic Gaslamp Quarter. Better yet, if your event is right in the heart of downtown San Diego, you don’t even need a car to get where you want to go, almost everything to be found in the city can be explored on foot. But how do you go about choosing the right event venue for your special occasion? There are a few things to consider. It’s important to book early. So, you should start looking for a venue well ahead of the scheduled event and book the venue several months out to be safe. This will allow you time for proper planning, including choosing your dining caterer, sketching out menus, creating any necessary marketing collateral, etc. Whether you want to book a large scale corporate business meeting venue, rooftop lounge venue, wedding venue, or more small scale intimate venue, it’s important to keep in mind that event spaces in San Diego book up fast and some may even have a wait list depending upon how popular they are. These Downtown San Diego event spaces are rented out and utilized for a variety of occasions – far more than what has been named above for example. Not only that, but by booking early, you can schedule your event around other possible major events or holiday functions that are popular for the area. The nice thing about booking early is that it gives you room to be flexible on your dates. The more flexible you are, the more likely it is you’ll get the venue you want most. Before starting the hunt for the perfect event space, you need to know the number of people you expect to attend the event (including staff) as well as the budget for the event and how much space you will need for everyone to be comfortable so that they can enjoy the occasion. These three factors alone can help you narrow down the search significantly, because then you will only be looking at venues that fit those top three requirements. Once you have narrowed your list down to places that fit your budget and size needs, you can then look at other factors to help you decide on the best event locale. There is no detail to running a successful event that isn’t important, especially if it’s a large gathering. You’ll want to list out your needs for everything from lighting and sound, to transportation and parking, to meals, seating, programming, WIFI access, and of course whether you absolutely need those mesmerizing San Diego skyline and ocean views. Event venues in San Diego can vary in size and amenities. That’s why it’s important to know how many people you expect to be in attendance, so that you can match up that number with venues that have appropriate minimum and maximum capacities to best fit your needs. Additionally, many attendees prefer event venues to be located within walking distance of their hotel. This is especially true if many of the attendees are flying in from other locations and aren’t natives of San Diego. Parking can be a big issue, especially for larger events. Does your potential venue have plenty of built-in parking space, or are there places to park near the venue that can be utilized? If not, you will need to get creative in how you handle parking and may need to possibly build the costs into attendance fees. You can also partner with transportation services in the area to offer discounted transportation to and from the event if that better suits your needs and budget. Layout matters because if the guest headcount is large and the venue is not fully equipped to handle such numbers, you can experience clogs in the flow of traffic during the event. You may need a stage or a dance floor, a bar that serves speciality and handcrafted cocktails, a large buffet setup to accomodate a vast menu, various activities to keep guests entertained, indoor and outdoor patio space, and possibly sponsor tables and plenty of seating. If not regualted or organized properly, registration areas can become easily congested too. In tandem with the layout is the importance of the acoustics in the venue. Some venues are built to have better acoustics than others. There’s nothing worse than hosting an event where guests have to shout to be heard. Bad acoustics can cause sound to travel through a facility space in a way that is wholly unpleasant for your guests. So really, layout and design of a potential San Diego event venue is just as important as setup and decor to keep everyone mingling and comfortable. Another important factor in choosing event rentals in San Diego is knowing your audience and the purpose of the event. If it’s a fancy art museum gala or a global fundraiser, your venue may need to be different than what you might choose for an expo or gaming conference. Such latter events may require large square footage that only a convention center would provide. Ambiance matters, both inside the building and outside the building. The outside matters a little less than the inside as long as the inside has the vibe you’re going for, but it’s infinitely better when the ambiance is the same from the moment your guests arrive and approach the venue, to after they enter the doors and begin to mingle. Because of San Diego’s wonderful year round weather, the city is known for it’s rooftop lounge venues and outdoor spaces, therefore when researching the perfect event space this may be an applicable aspect to consider in terms of ambiance. You want the venue to be in sync with your event’s vibe so that you can provide the best experience possible for your guests. Special events in today’s culture have become big business and word travels fast when one doesn’t meet expectations. If you want future events well-attended, it’s important to pay attention to the details and create a seamless experience for your guests to enjoy. 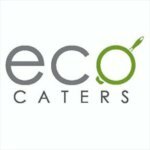 Choosing stellar organic catering or event venues in San Diego can be challenging, to say the least. This is in large part because it’s such a popular city destination. There is a lot of culture to experience and a ton of sights to see, precisely Downtown and in the Historic Gaslamp Quarter. This makes it highly attractive to business travelers attending corporate meetings and vacationers alike who are seeking a relaxing getaway. But with a little forethought and planning, and a whole lot of attention to the details, you can find a location that fits your event needs perfectly. Just… don’t wait until the last minute.